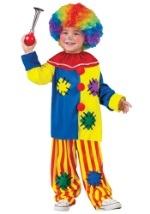 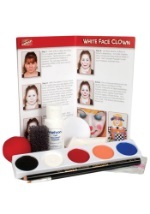 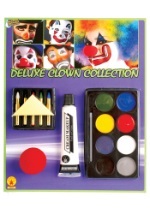 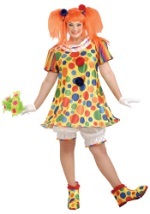 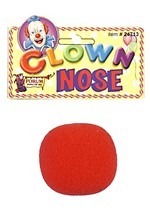 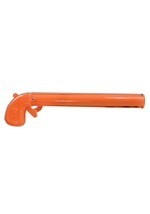 Add a little color and curly detail to your cute clown costume! 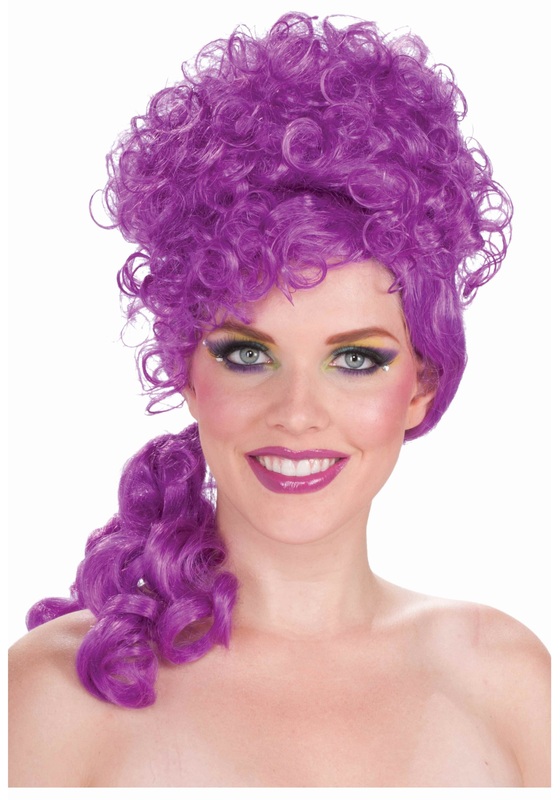 This wig features bright purple synthetic hair fibers to create this big top wig. A big puff of curly hair covers the top of the wig, while a flowing purple ponytail falls down the back of the wig. 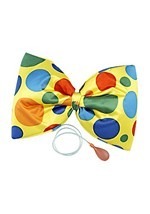 The inside is lined with a netting material and uses an elastic band to secure the wig in place. 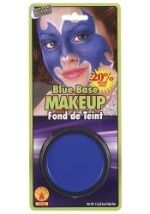 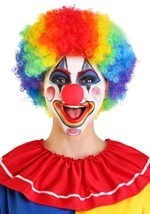 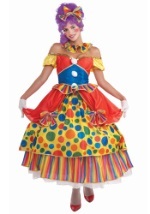 Add this big top clown wig to any womens clown costume!